One running cameraman – 24 km of running – 46 km of MTB – in 13 hours. 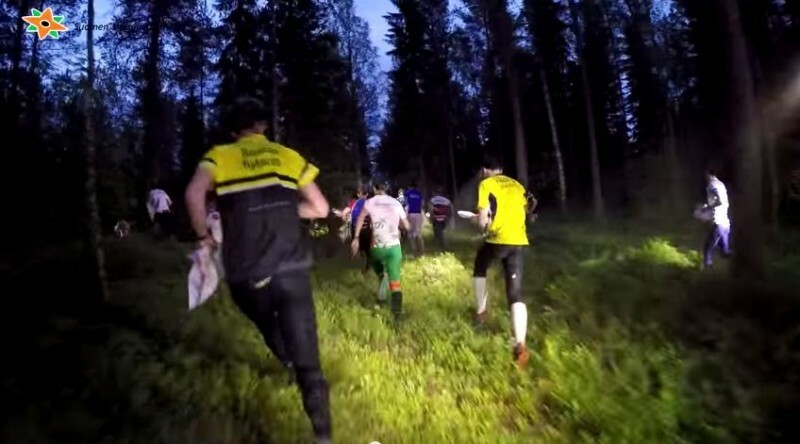 The Jukola TV production provided some great “runcam” footage of high-speed orienteering performed by some of the best orienteers in the World. Below you can read the story behind the footage. 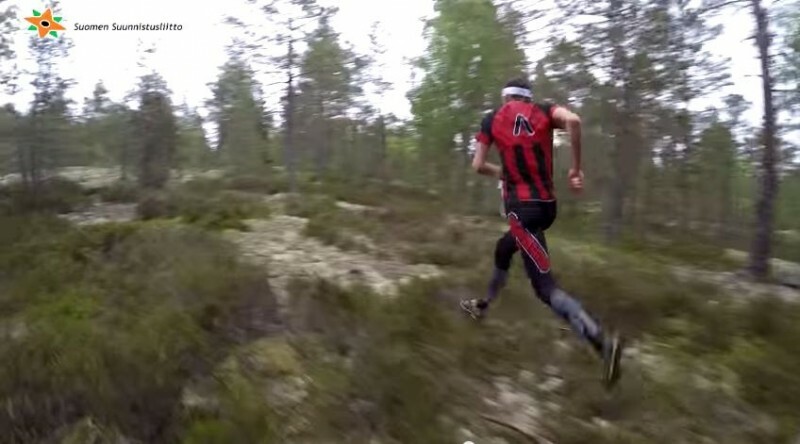 – I hope this current style in Jukola clips should give some realistic perspective into top orienteering, it is a fast sport in demanding conditions, says running cameraman Timo Mikkola – the man who provided all the “running cameraman footage” at the Jukola and Venla relays. But first take a look at a few “raw footage” clips in the below video. The video includes 4 different clips – one of them from the men’s start and one following Thierry Gueorgiou on the last leg. Note that Mikkola comments that the YouTube compression reduces the quality of the clips significantly. Q: What exactly was your job at Venla and Jukola? I was a running cameraman in forest providing orienteering video clips for national live television broadcast and live international web-tv. The concept was to follow top orienteers in the middle of real orienteering action in the forest during competitions. Q: How many hours and kilometers did you run to produce the videos at the Venla and Jukola relays this year? I was the only running cameraman in the forest and my work timeframe was 13 hours in total. During this time I was running 24 kilometers and did 46 km mountain biking between different locations. This year we decided to cover a larger area in the forest and that’s why I was using a bicycle. I think it was a pretty good idea because we could show many different kinds of locations and terrain types. Q: How much delay is there in the videos we see? And the big question: When can we have this live? Oh well, there are some minutes depending on shooting location and overall situation but it is maximum 10 minutes. When we have this delay, we can use longer clips from various locations with best possible quality. Delay is the only downside with the current concept and a wireless/live concept would have more restrictions. Two years ago in Jämsä I did this live, but the result was not good enough; video quality was significantly lower and clips were short because of wireless range. When we are doing this live we are connected to some kind of wireless base station and the forest is restricting transmission range. It also requires more equipment on the camera and I prefer less equipment when running at high speed. Also building a large number of video base stations into the forest is not so cost effective either. Of course we could use mobile multi-signal encoders but mobile base stations are not the most reliable system for data transmission when there are tens of thousands of people in the same area. So after Jämsä we decided to change the transmission concept for better quality and longer clips. This current concept has been well received in Kuopio and Paimio so I think it was a good decision. I don’t have an obsession for live, but of course we are trying to shorten delay time in the future. Q: How much time have you spent optimizing your equipment and style – and which equipment do you use? This running camera concept was started around 2010 when I was starting to work at the Finnish Orienteering Federation. There were some plans to show more athlete perspective at Vuokatti 2013 World Championships TV-broadcasts, and I started to test various things. I have also personal interest in video stuff and I did my first stabilizer from house heating pipes and weight lifting components. One of the most crucial aspect has always been to get more stable video on full running speed, and until this year I have had a weight stabilizer on the camera. This year I did upgrade to a 3-axis gimbal which is giving “stable enough” –quality. But an electronic gimbal is more prone to errors and suffers easily from rough conditions in the forest. My first gimbal was broken after 6 weeks, and that’s why I still have weight stabilizer as a backup solution. As a camera I have small and durable Gopro with tried and tested settings for running stuff. In the Jukola night there are also some lights needed. I had one headlamp with special wide angle soft lens attached to the gimbal and one lamp on my head. I have tried to keep night pictures as realistic as possible and that has required some testing on equipment and camera settings. 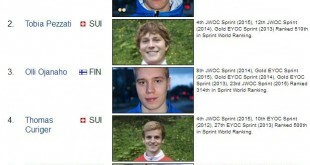 I have developed my style several years now as we have had pre-made video clips in WOC 2013 and Huippuliiga TV-broadcasts. I hope this current style in the Jukola clips should give some realistic perspective into top orienteering, it is fast sport in demanding conditions. Q: Thanks a lot for your answers, Timo – and good luck with further developing your style! I watched the English language feed jukola coverage end-to-end over the course of last week, trying (and failing!) to ration myself to an hour a day, and it was probably the best piece of orienteering tv coverage I’ve ever seen – Timo’s work was a big part of that, great to see what it was actually like running through the forest and just how smooth these top guys are. Congratulations to the whole media team.